The Financial Times this month had an excellent profile of Tsai Ming-kai, reclusive head of the Taiwanese chipmaker Mediatek. Mediatek is the biggest supplier of mobile phone chips to China. Innovators can learn much from him, even though he is rarely interviewed (the FT interview is the first in three years). 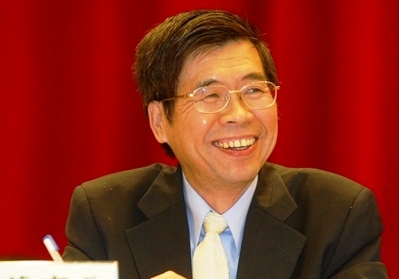 Tsai is an electrical engineer who never studied business – except for a one-week course at Stanford, where he learned about Harvard Business School Professor Clayten Christensen’s theory of “disruptive technology”. Tsai first joined United Micro-electronics, a large Taiwanese chipmaker. When it spun off Mediatek, Tsai became its head. Christensen teaches that vertically-integrated industries tend to mature and then split into horizontal segments, with each segment specializing in a key part of the value chain. This creates huge opportunities for innovators who get there first. Tsai realized Mediatek could thrive by doing just one thing very well – and doing it very cheaply. That one thing was making CD drives for computers, which then became – making chips for DVD players. By 2000 Mediatek was big, but Tsai looked for new opportunities. He saw them in mobile phones. While the big mobile phone chip designers like Qualcomm and Texas Instruments focused on 3G chips, Tsai saw opportunity in improving 2G chips to service the “newcomers” in China that he foresaw would one day defeat the industry leaders. “There was still room for technological improvement in 2G phone chips,” he observes. There is a very important principle here. Innovators often look to cutting-edge breakthrough technologies. That leaves much room for improving existing far-less-dramatic technologies, by raising performance and cutting cost. Tsai offered not chips but also a “business model” – “reference designs” that came with the chip and enabled new phone makers to break into the business. It was this business model that brought down barriers to entry into the mobile phone market dramatically. So even while Western phone makers shunned Tsai’s basic “primitive” chips, Chinese firms leaped at the chance, and quickly grabbed 20 percent of world mobile phone markets, to the disgust of Nokia and Samsung. Tsai’s simple business model for innovation? “By relentlessly improving existing technology to reduce costs, this serves a population that is a much bigger proportion of the world.” It reminds one of the late C.K. Prahalad’s “fortunes at the bottom of the pyramid”. Tsai found a fortune there – and has made a fortune for himself and for his shareholders. Tsai’s next frontier is ‘reverse innovation’ – taking goods (chips) designed for low-cost emerging markets and repositioning them for low-cost producers making products for Western consumers.